Do annual reviews really foster high performance? Traditional annual employee reviews can be enormously time-consuming. They generally involve stacks of evaluation forms, a myriad of performance criteria and various numeric ranking systems. According to business researchers CEB, a survey of employers found that managers spend an average of 210 hours a year in complex performance evaluation processes. And employees themselves each spend about a week gearing up for and participating in reviews. To top it off, 77% of human resource executives participating in the survey said they do not believe the approach actually measures employee performance accurately or leads to better results. Twelve months is too long of an interval between feedback sessions, particularly for younger employees who expect frequent feedback. Also, in a rapidly evolving business environment, some goals may need to be adjusted more frequently than annually. Standard yearly performance reviews in which the supervisor acts as judge and jury can put employees on the defensive, create a negative dynamic in the employee-supervisor relationship and actually lead to worse performance. 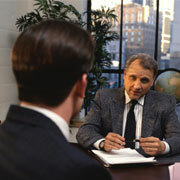 Annual performance reviews are often linked to compensation adjustments. But when financial constraints preclude significant raises, regardless of performance, employees may be left believing that the performance review process is meaningless. Assigning a numeric rating to employee performance in various criteria can create a false impression of scientific accuracy, and mask unconscious manager biases. In addition, when employees are ranked against each other numerically, overall performance can suffer. Stanford University business school professor Bob Sutton recently stated that in every reputable study he could find, the practice of "stack ranking" employees (once championed at GE) and the wide pay gaps it created was associated with inferior company results. Stack ranking is similar to ranking all employees on a bell curve. So what's the alternative? More frequent and casual check-ins with direct reports might be the answer. These are conversations between the supervisor and employee that can happen quarterly, monthly and even more often. Stephen Balzac, a consultant to employers on organizational development, describes check-ins as a "meaningful conversation in which you recognize accomplishment and strengths and discuss developmental areas." Removing the heavy administrative overlay of traditional annual reviews opens the door to higher-level conversations about how an employee is doing. The conversational format lends itself more naturally to a learning experience for both parties — usually a better path to performance improvement. Also, the relatively frequent conversation approach provides a structured opportunity to discuss any recent employee actions, positive or otherwise, that are worthy of praise or counseling. Prompt positive feedback can be much more motivational than praise several months after the fact can ever be. Similarly, discussing a performance issue in a timely fashion makes it easier to resolve because it is fresh in the employee's mind as well as your own. This way details will not be forgotten, nor will dissatisfaction on your part be allowed to fester over time and lead to a more negative response down the road. Checking in generally doesn't require handing over anything to employees in writing. However, if any serious performance issues persist after multiple sessions, it might be advisable to revert to a more formal process. That process should include the opportunity for the employer to provide documentation that supports a disciplinary action or termination. Keep it as positive as possible. While problem areas should not be ignored, the more upbeat the check-in, the more receptive the employee will be to accepting direction where it is needed. Be specific. Identifying specific actions or results, particularly when they are negative, not only provides clarity but prevents criticism of the individual on a personal level. Focus on what's doable. Before discussing a problem area, think about individual constraints in ability, personal traits or resources, that might impede or may have prevented an employee from accomplishing a goal. If the performance shortfall is beyond the employee's control, highlighting the issue can create more problems — although you may need to take action to address the matter. Avoid comparisons to other employees. Saluting an employee's exemplary performance before the entire staff or team can be motivational to all concerned. But in a check-in, conveying the message that the employee should be more like someone else may set up a competitive mindset that could become counterproductive. Abandoning the traditional annual review is not realistic or even advisable for all organizations. In the world of business, few plans are one-size-fits-all. It could be that the only way employees receive adequate feedback is to impose the annual review discipline on managers. If that's the case, then stick with it — at least until you can train managers to become better at performance review. 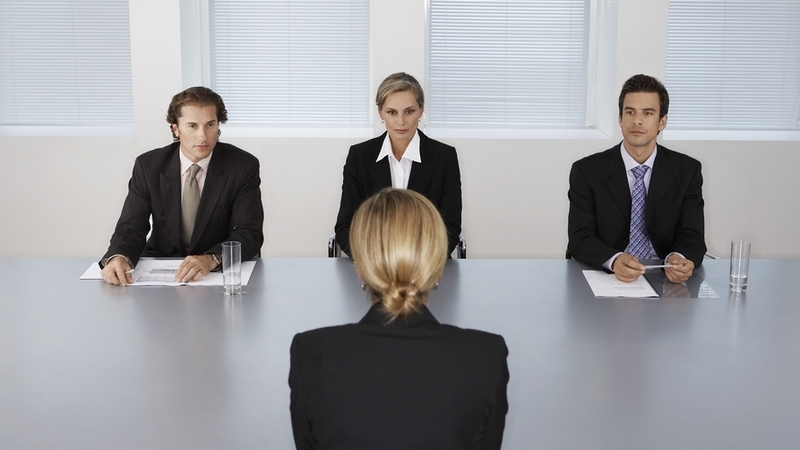 Ever hired the wrong person? I've made plenty of bad hires over the years. Many times I simply rushed through the decision process to get a position filled rather than taking time and working through a well thought out hiring plan. As Chris Hogan of EntreLeadership shares below, every hire you make should build your team and not set you back. Along with saving significant cost and resources, now having a solid hiring process in place has made a big difference in our employee retention and satisfaction.